It was in 1974 when the Japanese company Sanrio introduced Hello Kitty as the fictional character created by Yuko Shimizu. The character came with human emotions but is actually a kitty with the prominent red bow that you see. Three decades later, the fan following of the kitty is much more than ever. And this popularity of the character has made up to compile this list of elegant hello kitty Coloring Pages. You can even look at other free coloring pages too. 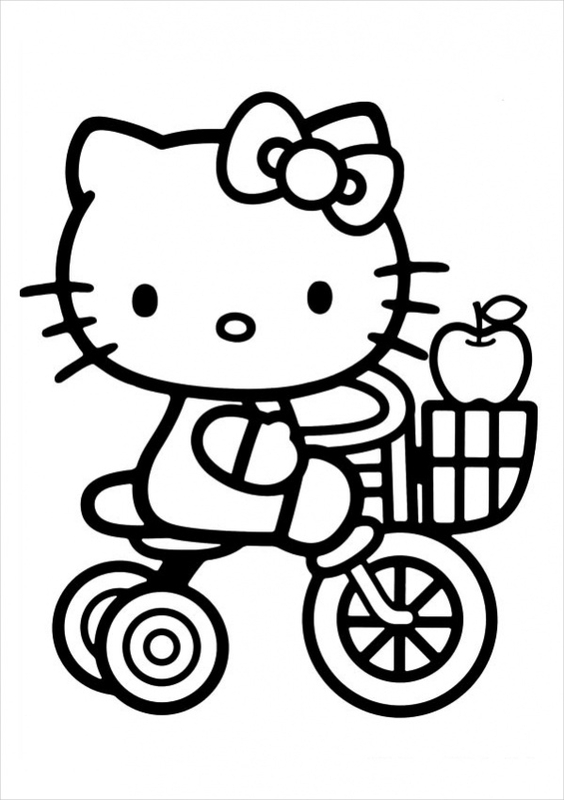 Here is the first one on the list, and it shows the cute hello kitty character riding a bicycle carrying an apple. The design has heavy borders making it simple for kids to fill colors in it.You may also see Free Coloring Pages For Kids. 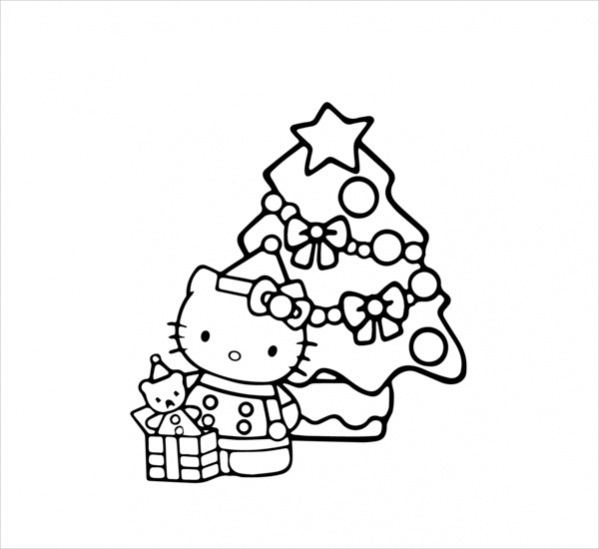 Here is a hello kitty Christmas coloring page design which shows the character standing in front of a decorated Christmas tree along with a gift box and a stuffed toy in her hands. 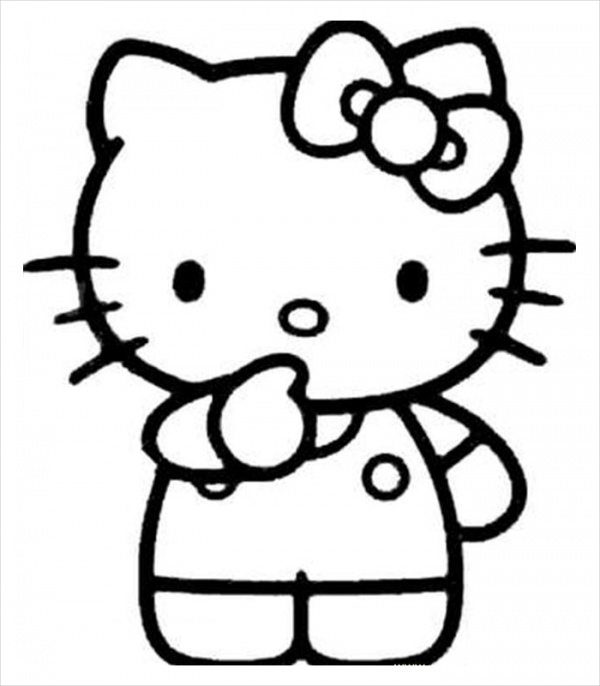 Here is a simple design of the hello kitty in a thinking pose. You can download and print this coloring page design for free from the below-mentioned download link. Your hello kitty is a total princess if you want her to be. 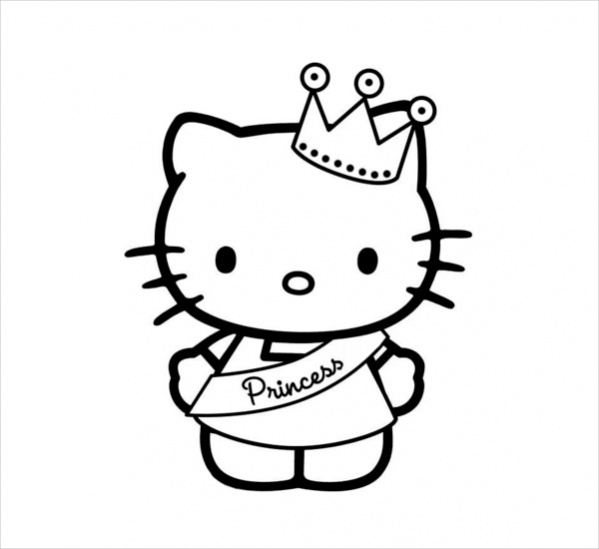 And same is depicted in this design for a hello kitty princess coloring page. You can print the design or color it online itself. Here is a design for a coloring page that you can use for Halloween themed designs as well. The coloring page shows the kitty dressed up for Halloween and next to her is the carved pumpkins. You may also see Free Halloween Coloring Pages. Celebrate the birthday hello kitty style. 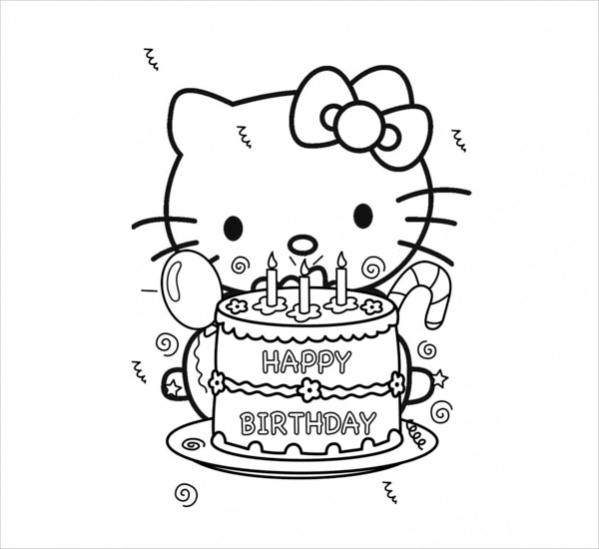 Color this page of the kitty with the birthday cake in front of her and use it a great choice for a greeting card cover image. Here is just the face of the hello kitty character with her prominent bow tie that you can color not just in red, but any choice of yours. Print this page design from the given link. Love should always be in the air. But for the special occasion of valentine, here is a great cover image for your greeting card. 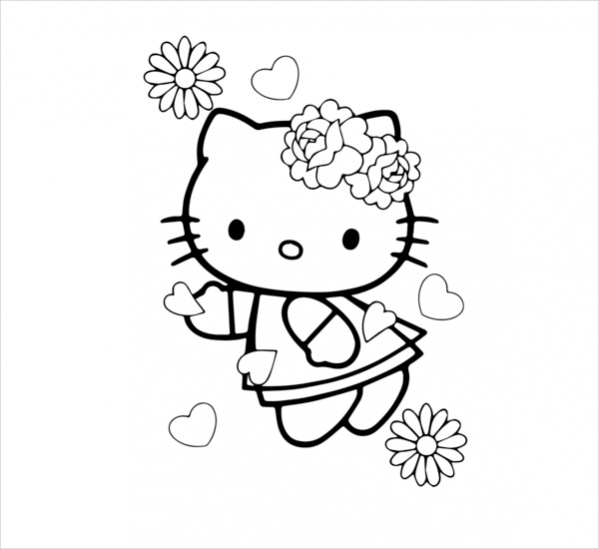 If your special someone is also a fan of the hello kitty, use this coloring page. For all the celebratory themes, there can be balloons in your designs. 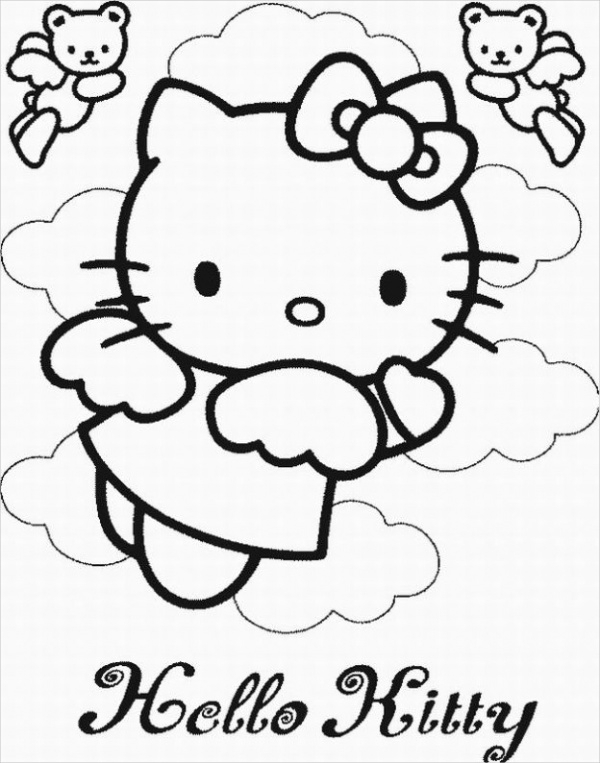 And if you want, you can introduce the cute little hello kitty design using this free coloring page. Next in celebration line is Easter. 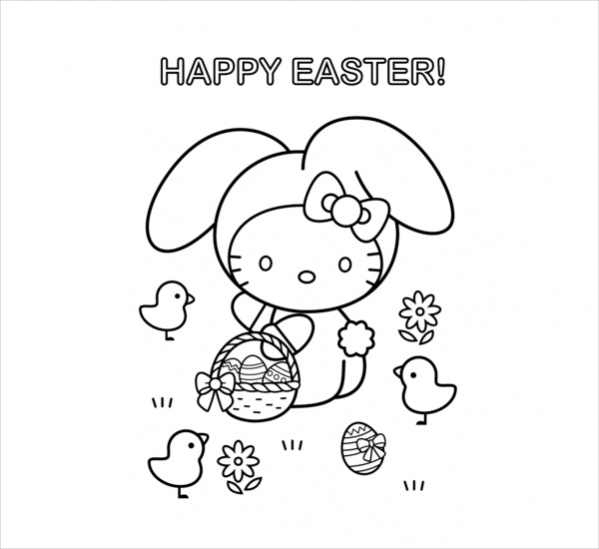 And here is a hello kitty with her share of easter eggs and some other little birds that will be a great coloring page design for your little one. 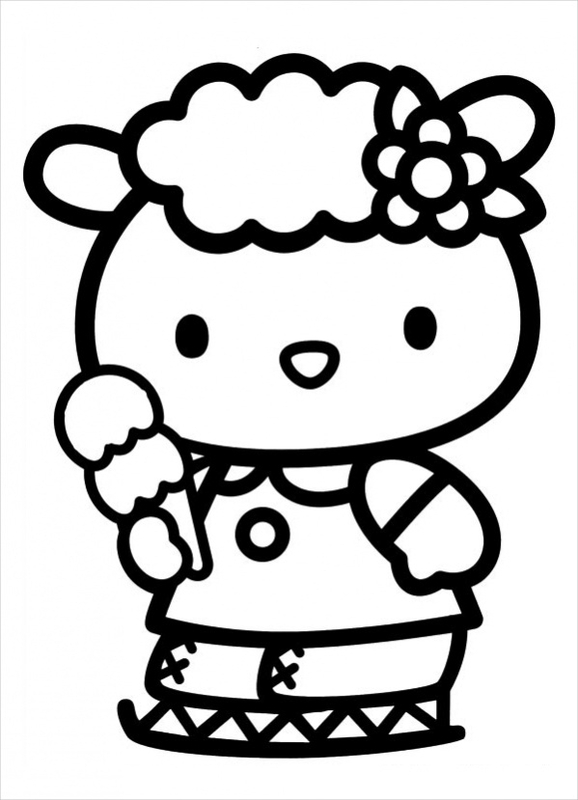 Here is a chance for you to download hello kitty coloring page for free where the character is enjoying her double decked ice cream. Click on the below-mentioned link to know more about it. 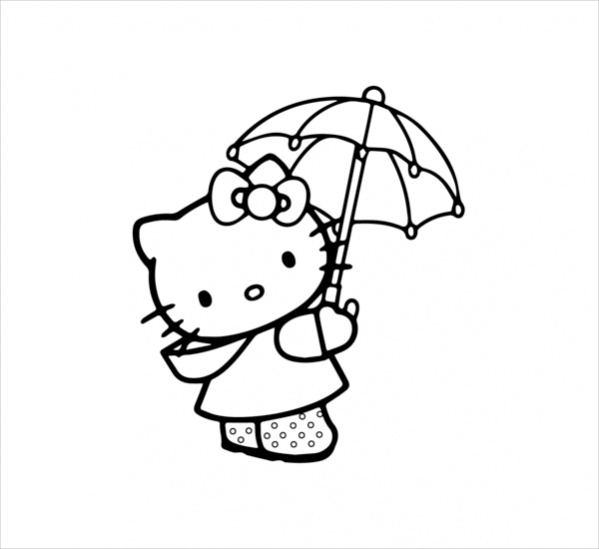 Here is a design where it shows the kitty standing under the umbrella. There is multiple other hello kitty related coloring pages design mentioned in the link provided below. Check it out. 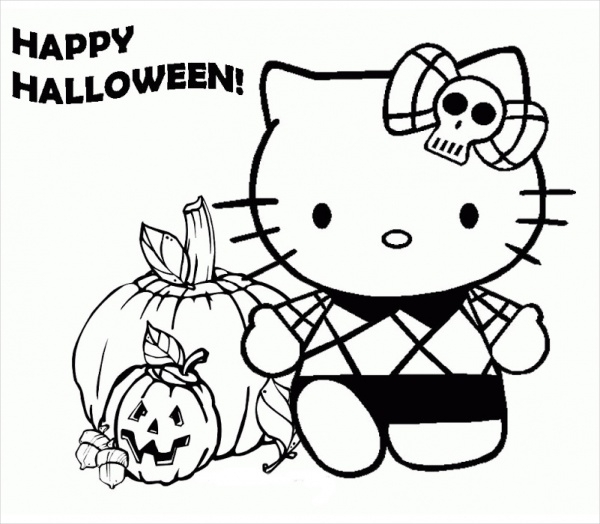 Here is another Halloween themed coloring page with the hello kitty and carved pumpkins that you can download and print for a nice option of a modern coloring page. Download it here. Why not play around with your thanksgiving designs with this coloring page showing hello kitty and her friend dressed up as pilgrims. You can print this coloring page design from the given link. Here is a premium design that you can order online and get it delivered to you which will send you three different samples of the fairy hello kitty character as shown in the link provided below. 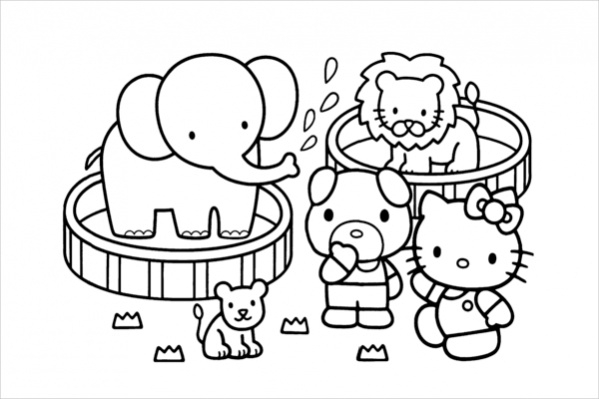 How to use these “Hello Kitty Coloring Pages”? 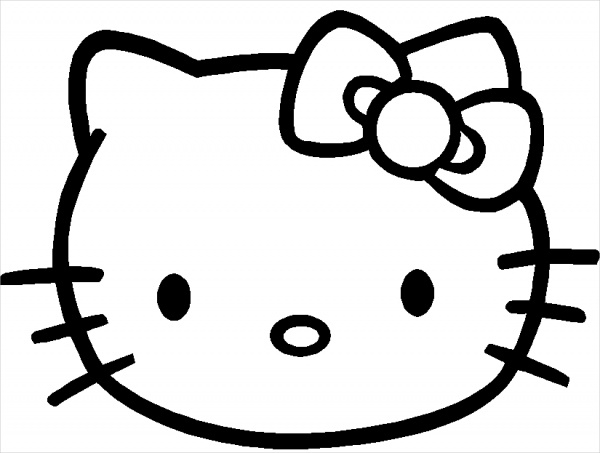 These hello kitty coloring pages are mostly available for free. They are a great way to be spending some time filling colors on the already created outlines and borders. This makes it a great choice for kids as well to spend some time coloring, as it is a great age for you to introduce art to them. All you have to do is to download and print them on a sheet of paper to start coloring. There are certain designs that allow you to color them online as well, but then your really young kid might miss out on all the fun.You may also see Free Printable Coloring Pages. The coloring pages mentioned here can be made useful even after you have finished working with them. You can easily scan the finished design and use it as a cover image for a greeting card design as per the theme the coloring pages showcase and add to the ever growing list of hello kitty merchandise you see around the globe.